At APEX Detail we have the tools, creativity and knowledge to help you customize the exterior of your automobile with tasteful subtle accents or bold complete car color changes. We can create decals, logos, numbers or patterns on out plotting machines to help make your car stand out in a crowd or, let our creative staff come up with a pattern and design to meet your unique vision. Have our design department custom make a whole car design, print it and then apply it right at our secure facilities within Addison Airport here in Dallas, TX! APEX Detail is a full service vinyl vehicle wrap facility, offering the latest and best automotive vinyl films from Avery Dennison Supreme Wrap Film to 3M 1080 Series Films. APEX Detail offers Avery Dennison Supreme Vehicle Wrapping Films and 3M 1080 Series Vinyl Vehicle Wrapping Films. Both Avery and 3M films offer our clients a wide variety of colors and textures to choose from, helping APEX Detail create the exact look our customers desire. Whether you are looking for a complete color change or are looking for accents like a roof or hood color change, our unique selection of materials from Avery and 3M can get the job done. Additionally should you wish to have APEX create a detailed wrap, we also have the ability to design and print onto white printable vinyl whatever you want, further separating your vehicle from the others in a crowd. Avery Dennison Supreme vehicle wrapping films ensure great installations by our team, and provide our customers with a huge range of colours and finishes. Avery films are well made long-term and removable films, with features such as Avery Dennison® Easy Apply™ RS adhesive technology make these films a great option for our clients who are seeking maximum visual impact and reliable durability. Avery Dennison Supreme gives APEX Detail all of the design choices and installation performance we need to create show-stopping chrome accents or amazing color changes. 3M Wrap Film Series 1080 are long-term, removable, dual cast films designed for solid colour passenger vehicle detailing, decoration and full vehicle wraps with excellent opacity to hide high-contrast surfaces. This film's pressure-activated 3M™ Controltac™ adhesive allows for the film to be repositioned on the substrate until the correct position is achieved, assuring worry free installations by our team. Series 1080 also benefits from 3M™Comply™ Adhesive non-visible air release channels that give our team award winning fast, easy and bubble-free installations. Using vinyl vehicle wrap films are a great way to add visible accents to your vehicle to help you create a style and appearance that adds personality to your vehicle, all while helping you set it apart from a crowd. Contact APEX today and find out how we've helped many automotive enthusiasts in Dallas, TX change the look of their automobiles with vinyl accents by APEX Detail. An APEX Complete Color Change using vinyl vehicle wraps help our customers truly stand out from the crowd. 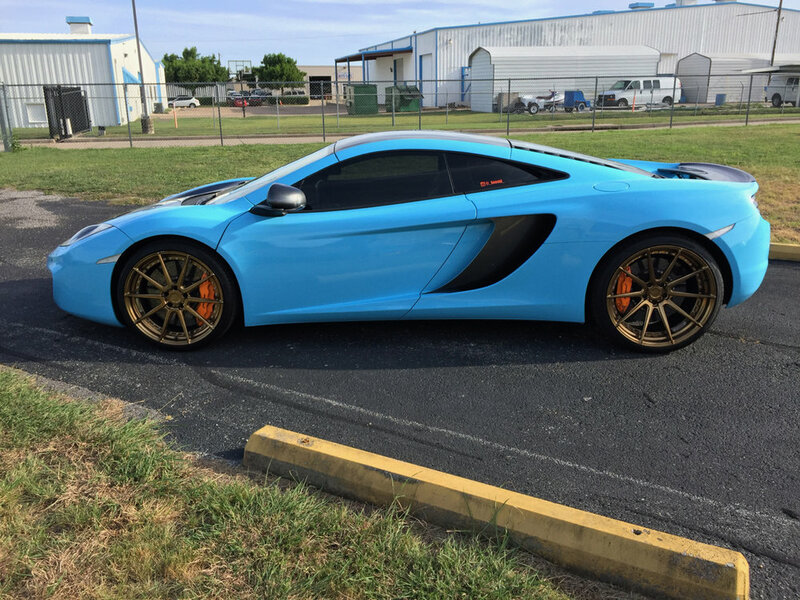 When you are looking a unique color the manufacturer doesn't offer or when you want to change the color of your vehicle without the hassles of paint a vinyl vehicle color change wrap by APEX Detail is exactly what you need. Come see why some of the best cars in Dallas, TX Metroplex choose APEX Detail for all their vinyl color change needs.